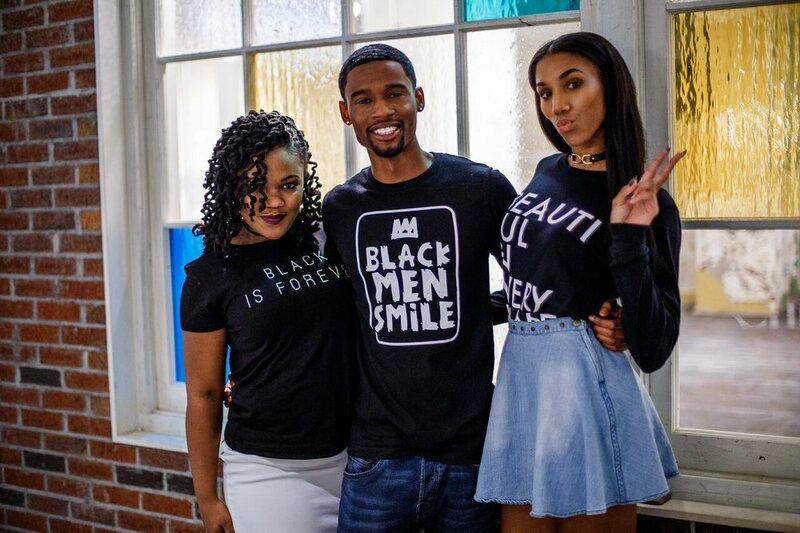 A few weeks ago Black Men Smile & Beautiful In Every Shade hosted a private Lifestyle & Apparel Shoot for our signature empowerment lines. The experience was brilliant and outright phenomenal! Very rarely throughout this process have I gotten the chance to stand behind the lens and witness young artists/creatives/leaders experience personal breakthroughs. Please allow me to explain what I mean when I say breakthrough! A few weeks ago that’s what 10 young Black men and women decided to do. They decided to breakthrough! They believed that they deserved to be in our shoot, and they ultimately showed up for themselves. I respect them for taking that chance. I respect them for positioning themselves with a brand that strives to resist limited thought as it pertains to societal issues such as aesthetic vanity, sexuality, black masculinity, and skin tone. I admire them for embracing their own unique beauty and affirming that they are imperfectly perfect. 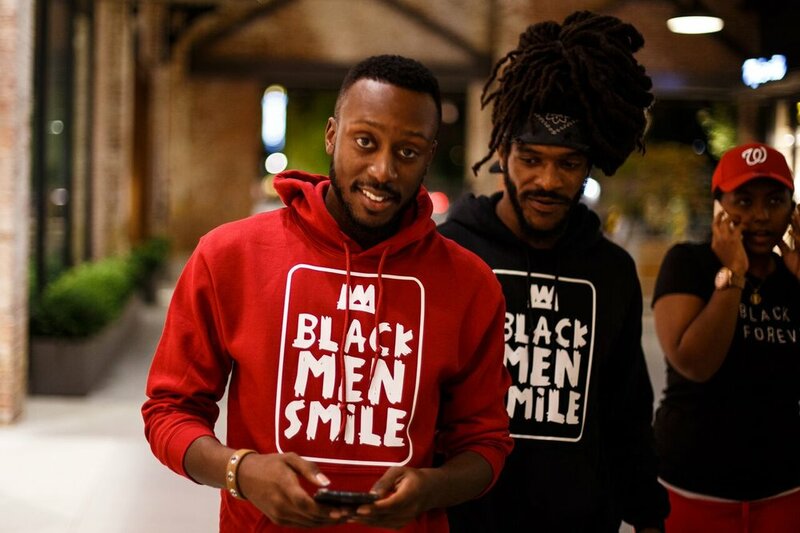 I salute them for proclaiming their minds and spirits to be that of Kings and Queens and furthermore, by adorning their bodies with the messages found within Black Men Smile & Beautiful In Every Shade. I would encourage each and every one of them to keep believing in themselves and to continue to follow that driving force within their souls because if I’ve learned nothing else in these past 5-6 years, it is that the little voice within your spirit knows what your heart’s deepest desires are. It’s our job to listen and to follow! Special Thank You to our Senior Photographer/Videographer – Breonca Trofort @bee_alyssatrofort and all of the models who participated.